I started to tell him how I wore Tevas all the time and both he and the woman sitting near him told me it wasn’t the same. I immediately peeled off my shoes and socks. Part of the reason for my hasty compliance with his comment was that they were already barefoot and they seemed perfectly comfortable with nothing on their feet. The other, and bigger reason I followed his recommendation was because the man giving me the advice was Jack Falls-Rock, a tribal elder of the Ajumawi People. The Ajumawi People are among the tribes of people who lived along what is currently known as the Pit River in Northern California long before European settlers and frontiersmen arrived in the 1800’s. My instinct told me he knew what he was talking about. 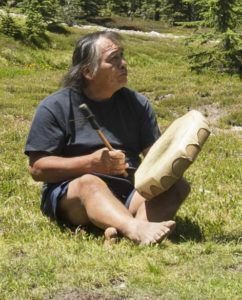 Jack had just finished a ceremonial song of the Ajumawi tribe that gave thanks to the earth, the wind, the water and the natural world in general for just being in existence and giving us all nourishment for both spirit and body. Prior to the song I had explained to him that I was an aspiring photographer and asked him if he would allow me to photograph him while he sang and drummed. He kindly gave me his permission. Later Jack and his partner, Nancy told me how they were both concerned that people weren’t spending enough time in the natural world. They told me that not spending enough time connecting with the earth was one of the reasons people became sick. They were also concerned that people lacked the desire to better understand the earth and were too quick to destroy this very thing that they understand so little about. He and Nancy told me that literally every plant on the earth had some healing property and importance, yet the human race still knows far too little about the plants and the natural world in general. 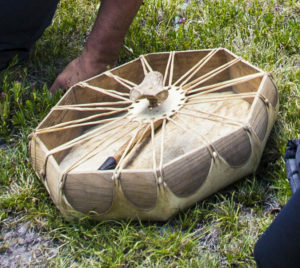 According to Jack’s Ajumawi cultural tradition everything on the earth has a spirit and it is up to us to learn about that spirit and try to better understand it. I listened eagerly to Jack and Nancy as they shared with me why it was so important to spend more time outdoors and constantly seek a deeper connection with the natural world and a better understanding of it. Nancy told me that at one point in his life Jack spent time in cities and urban environments and could never really understand why the people living in those environments made the decisions they make and could allow themselves to live the way they do. Reflecting on my own similar process of realization, I agree with him. Nancy told me that Jack eventually abandoned the idea of fitting in with the urbanized world and returned to living more in accord with the traditional ways of the Ajumawi. Nancy helps Jack deal with people who don’t understand why he lives the way he does, making sure things don’t get lost in translation between indigenous culture and industrialized culture. It is a healthy and vital dynamic. After we talked for a bit, Nancy told me that Jack wanted to perform a song for me. I was flattered beyond expression. She asked him which song he was going to perform. 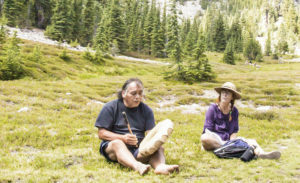 The experience of getting to meet Jack Falls-Rock and Nancy and hearing their words and hearing the song and drum of the Ajumawi People that gave thanks to the Earth and the Song for Life in a beautiful alpine meadow hidden on the slopes of Mt.  Shasta was a very powerful experience for me. I will never forget this chance meeting and I am honored to be able to share it with whoever reads this article. One thing I realize from all of this- if I am ever in a place where it is neither comfortable nor safe to go barefoot, I will immediately seek a way to leave.